Blog How to Choose the Right Moisturizer for Your Skin Type? There are various skin types that change from person to person. Many think all moisturizer creams are identical, but that’s simply not true. There are different types of moisturizers for different skin types. How to choose the right moisturizer for your skin type? We will describe in detail in this article. Which is right Moisturizer for your skin? Use a moisturizing cream that will not block the pores. When our pores becomes blocked it generally creates more oil in the skin. Hence, to avoid blackheads and whiteheads use non-comedogenic cream. If you’re fortunate to have normal skin always try to purchase light as well as non-greasy moisturizer to maintain the healthy moisture levels in your skin. For dry skin, one can use a richer moisturizer which can hydrate your skin well. Hydrating moisturizer helps to prevent skin from roughness and patches. People with a combination skin type should use lightweight, non- greasy moisturizer that absorbs quickly in the skin without sticky. Thickness is essential to check as different skin requires a distinct texture in moisturizer. 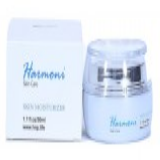 Normal and Oily skin requires a less thick, non-greasy cream that will not block the pores. On the other hand, dry skin requires thick cream to maintain moisture in the skin. There are certain products which have a label like ‘non-comedogenic’ moisturizer or ‘sensitivity tested.’ For those who have sensitive skin products with sensitivity tested attributes that is a good purchase. The same is true for non-comedogenic cream that is perfect for people with oily skin. Always check the label to see if they were tested for a particular skin type to achieve maximum results from your moisturizer. Have you checked the ingredient of your moisturizer? It is necessary to know the ingredients before you make a purchase. Percentages of petrolatum, glycerin, mineral oil, lanolin, etc. Check on the product box to protect your skin from potential additional irritation. •	Wash and clean your face first before applying the moisturizer. •	Apply the moisturizer on the affected part first. •	Spread the moisturizer around your face. •	Allow the moisturizer to dry if you want to apply makeup to your face. The right moisturizer will protect your face from acne, blackheads, whiteheads, and patches but also provides enhancements to your skin. Select the moisturizer which is suitable for your skin and also try to find a moisturizer with SPF for sunlight protection.